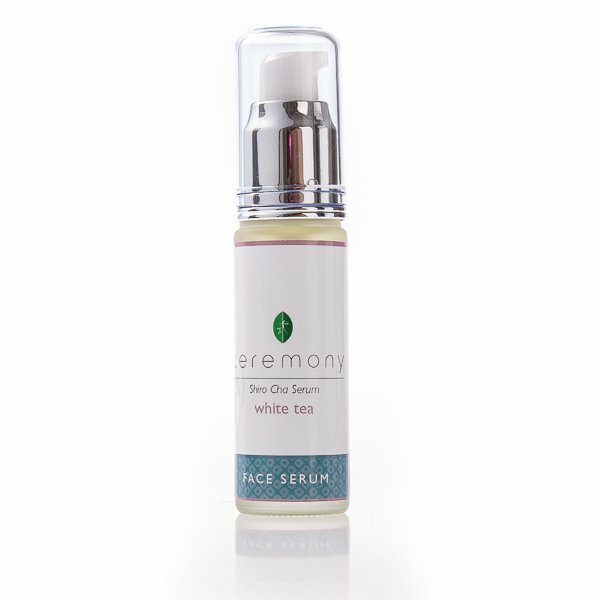 Ceremony’s White Tea Serum is a phenomenal all natural skin tonic which blends only the finest active natural ingredients and antioxidants to repair, and combat the signs of ageing. This luxury anti-aging serum will leave you with radiant, healthy, and noticeably smoother skin. 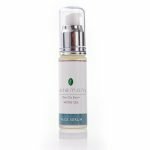 Containing the finest white tea extract, the antioxidants, and natural ingredients help combat wrinkles, lines, dark spots, to restore a youthful firmness and radiance. I have a lot of freckles on my face that I really hate. I didn’t expect this serum to work so fast, but after using it for a few days, I’ve noticed that they’re not as noticeable, and I haven’t gotten any more, even though I’ve been going outside a lot. I love how much this serum protects my face! The best part of this serum is that there’s no intense ritual. All you have to do is squeeze a little onto your hand, then rub it into your face, just like you would any other cream. I use it before bed, and I swear it’s almost like you can feel it working. It’s never disappointed me—I’ll use this forever! My skin tends to be really oily, especially after going out with my friends. With this toner, I use it before I leave, and then again before I go to bed. I’ve noticed a huge difference in how my skin acts. Not only is it brighter looking, it doesn’t have an excess of shiny oil everywhere. I’m a bit of a glow junkie. Came across this brand online. So glad as this is a quality serum. Love the natural ingredients in this too. Hard to find the combination of goodness elsewhere. Was surprised by how nice it smelt too! Definitely will be a repeat purchase! A lovely little find this serum is. I use in conjunction with the rest of the White products specifically the cleanser lotion, toner and moisturiser. My face was left feeling soft and smooth. It has a very light fragrance that is not over bearing to apply onto the face. The best part is, doesn’t leave the skin feeling greasey and oily! Noticeable difference in glow and radiance after using this gem of a serum. Must be the white tea!!!! I always knew drinking white tea was healthy and important, so I don’t know what took me so long to realize that using a serum derived from white tea was also important. You can feel how gentle it is on your skin when you put it on, and it continues to be light throughout the day without making you look greasy. Sometimes with products, you can’t be sure what kind of ingredients they have in them. This serum is all natural, which means everything that goes on my face is safe and doesn’t cause me worries. My skin is usually too sensitive to use things like this, but when I use this toner, I only have positive results. I don’t get any rashes or have redness all day—all I notice is clear, clean looking skin that keeps a healthy glow for the rest of the day. I’ve never been happier. If you want to give someone the gift of relaxing self-care, then get them this toner. It’s so easy to use and the results are huge. It’s gentle on all skin, so don’t worry about causing them any red patches or rashes. My skin is super sensitive, and I’ve never had either one. Ever since using this serum, I’ve begun to get compliments on how bright my face looks. I love how confident I feel now! Sometimes I use just the toner, sometimes I combine it with other white tea products. Regardless of which I choose, this toner gets the job done and makes me feel ready to tackle the day. I’ve never gotten so many compliments in my life—everyone thinks I look so much younger than I am! I wear make-up all the time, and I think it’s begun to make my face look dull and older than I am. I started using this serum to bed at night, and I saw instant results. My face looks clear and new in the morning, instead of the dull skin I was seeing before this serum. I love using this, and would highly recommend it to everyone else. I’ve noticed that sometimes after using toners like this, my skin would get very dry and start to flake. That doesn’t happen when I use this toner. It cleans out my pores, but doesn’t dry out my face. I just have clear, clean skin all day with a healthy glow. This toner is so gentle on your skin, I love how fresh it makes me feel. I’ve never had better skin in my life! Not only does this toner clear out all the dirt and garbage from your pores, it also makes them look smaller. I have a lot of pores on my nose that get clogged easily, and this is the only thing that works to get them clean without having to pay a ton of money to go to the spa. If your face gets red easily like me, then you’ll fall in love with this serum. No redness, no itchiness, just smooth skin and a healthy look all day. I use this on my face, especially on my cheeks. Usually the skin is really rough and bumpy there, but after a few days of using this serum, I’ve noticed that the skin is softer and looks healthier than it used to. I’m shocked at how much it’s changed. I noticed changes as soon as I started using this serum. The lines on my face started fading and weren’t as deep, and I noticed that my skin had a glow to it, like I just got back from a professional facial. I love this serum, and can’t see myself ever going back.